It’s all about the magnificent view, ideal location and comfortable accommodation! Situated on the highly desirable north side of the island, with only a garden path between you and Hekerua Bay, known for its safe swimming, paddle boarding or kayaking. Ideally located to reach Oneroa village, with its cafes and bars, galleries, and supermarket, or any of the beautiful northern beaches, wedding venues, vineyards and restaurants that Waiheke is popular for. This modern furnished apartment occupies the entire lower level of the main house. Guests have their own entrance via stairs down the side of the house. There are no communal areas, affording guests total privacy if they so choose. All rooms lead out onto a large sun drenched deck to relax Waiheke-style. Both bedrooms have magnificent sea views, queen and double beds and built-in wardrobes and open through sliding doors onto the private deck. There is a full modern bathroom with luxury bath, large shower, toilet and vanity with complimentary guest toiletries and hair dryer. The well equipped kitchenette includes a breakfast counter with four bar stools where guests can enjoy their self serve breakfast which is provided, including good coffee from a Nespresso coffee machine. The TV room has comfortable modern seating, Freeview TV, DVD and free wi-fi is available throughout the apartment. The apartment is on the main bus route (Bus 2 via Palm Beach/ Rocky Bay). The bus stop is diagonally across the road from the property and you can bus to Oneroa Village, Matiatia ferry terminal and other parts of the island. To further explore the island you can hire a car, scooter, or motorized bicycle. Within easy walking distance of Oneroa village for shopping and dining, with a variety of art galleries, gift shops, banks, the post office, gas station and information centre. There are stunning coastal walks commencing from our doorstep. Deck suitable for small children. They love watching the bunnies on the lawn below. Spectacular views, privacy and comfort guaranteed throughout this new modern style apartment accommodation. We loved our stay with Grant and Rozelle - not only are they wonderful warm people and fantastic hosts, but also the apartment was top notch in every respect. We’ll definitely be back! Thanks for the most incredible stay in a fantastic setting! The hosts are amazing and the fresh fruit, muesli, yogurt were a great touch in this beautiful home. Everything we could have asked for and more! Great property with perfect privacy. The parking next to the property was a bonus. Then. The Veiw! These hosts, are the epitome of hospitality. 5 star service and nothing was a problem. Always went the extra mile. Will be back again! A great couple and it was a pleasure hosting them. Good communication prior and during their stay. Friendly, appreciative and respectful of our property. They left the apartment in excellent condition. I would highly recommend them to any other hosts. A magical place worth seeing and experiencing. It was a beautiful property with incredible views. It was everything we could have wanted. Clean and well appointed. The owners were very accommodating. We would definitely stay there again and will certainly recommend it to all of our friends and family. We stayed for 2 nights and we fell in love with the apartment immediately. 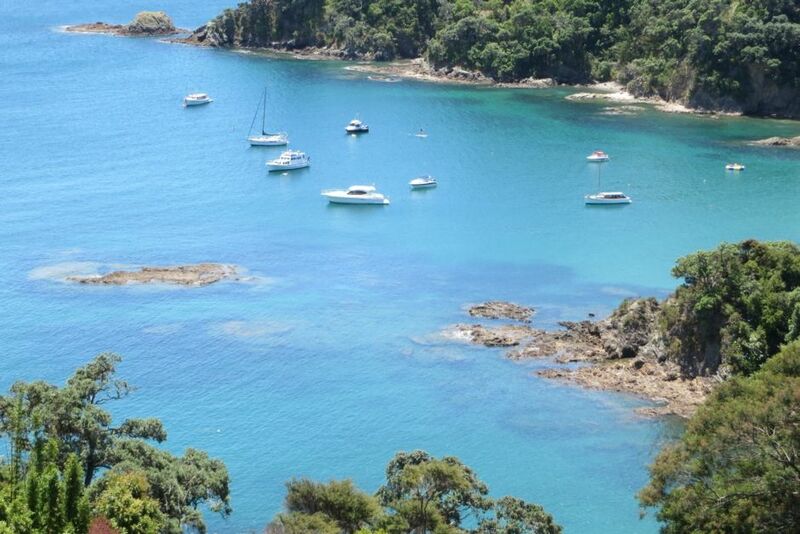 Great location up high overlooking Hekerua and Sandy Bay. Access to good tracks around the bays into Little Oneroa and Ineroa town. Very short taxi to and from Oneroa if needed. Stunning view of Sandy Bay below from the balcony of the apartment. Barbecue available on the deck and amazing unobstructed views to enjoy. Beautiful to hear the waves crashing and was a joy to wake up to. You can loose many hours enjoying the view as we did. Everything was thought of and provided on our arrival. Very helpful collection from the wharf, valuable knowledge of the island and transport routes, very approachable with any questions, and very kind drop off at winery prior to our departure. Very happy with the fresh fruit and coffee provided and all mod cons are available if needed. Both bedrooms very comfortable with plenty of storage space and beautiful views of the bay below. Shared balcony deck to enjoy. Bathroom very modern, very clean with a good shower and toiletries provided. Everything was thought of! Cannot give enough praise to this apartment and the welcoming owners. I hope to visit again soon as we have taken away such good memories. Would gladly have stayed longer. Ana and Adam were the perfect guests. Good communication prior and during their stay. Quite, friendly and appreciative and really made the best of their time on the island. They left the apartment in excellent condition. I would highly recommend them to other hosts.